Despite having lived in Japan for two years, Japanese cuisine isn't something I ever crave. Usually when SP suggests Japanese, it's because he wants sushi (yuck), and I never feel excited or inspired. But my mom was here and she wanted to go to Kiku, a Japanese restaurant in Station Square Shops. I think she was missing Japanese food since she & my dad go to a Japanese restaurant every other week in Las Vegas. So on a sunny Saturday afternoon, SP dropped us off at Station Square. We wandered around while he went somewhere else and then we met up around dinner time. It has been so long that I forgot all about the damp, hot wash cloths served at the beginning of a meal. I love this. In the hot and humid summers it's a great way to clean sweaty hands and sweaty faces, necks, etc. In the cold winter months, it's a great way to warm hands. SP started his meal with a daily special Scallop Sashimi. Mom and I shared an order of Gyoza, the best I've eaten outside Japan. Made with ground chicken, not pork. Miso Soup, which mom and SP like. I do not like it so I gave mine to SP. My Tonkatsu - delicious breaded and fried pork with shredded cabbage and steamed vegetables. My dipping sauce. I have not yet been able to recreate this sauce at home nor have I found a satisfactory bottled version in a Japanese/Asian food store. There is just something so good about properly homemade tonkatsu dipping sauce.I took some of my meal home and I made sure they included the sauce. I like Kiku a lot. The decor transports me back to Japan. The food is terrific, too. 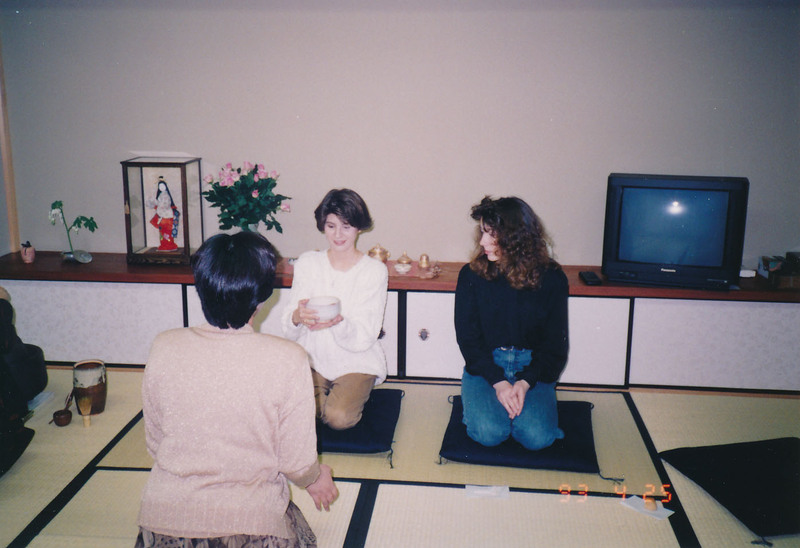 When I lived in Japan, I worked just a block or two from my apartment, as did 2 of my co-workers. Often we would go to a tiny place down the road for lunch and simply order gyoza and a bowl of rice. That local place had the best gyoza, and Kiku comes darn close. We also frequently dined at another nearby restaurant where I always ordered the tonkatsu because it was so delicious and the sauce was just perfect. Kiku's reminds me of that place. Of course now I remember a terrific Yakitori-ya in my town, a place we would go after work and enjoy too many beers and too many skewers of grilled food. I miss Shin-Tanabe. One last testimonial to Kiku's yumminess: when I worked downtown for a Japanese company, I often would meet my girlfriends at Station Square after work for Happy Hour. Many times, I would see the Japanese managers headed to Kiku for dinner. One day I asked my supervisor and he replied that Kiku had the most authentic Japanese food in Pittsburgh and the best sushi.